Four page PDF file that can be downloaded or printed for your records. 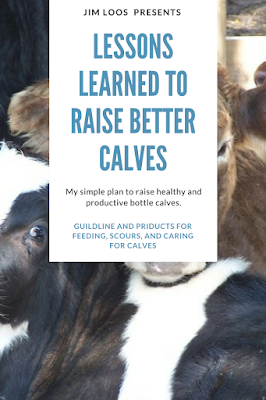 It is a simple, easy to read outline on tips and guidelines I use for bottle feeding and raising a calf that can be referenced quickly. Simple short layout but leaves nothing out: Scours, Hair Loss, Calf Vaccines, Castrations, Starter Feeds, Creep Feed, Electrolytes, Antibiotics, Milk Replacers, Hay, Grass.